If you can’t start your day without a hot drink, you’ve probably used one of those disposable stirrers that so many cafes and coffee shops have on hand. Usually they’re made out of plastic or wood, meant for a single use and then tossed. 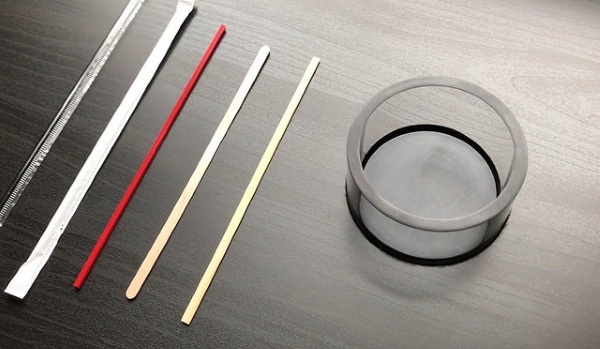 Instead of creating all the trash, Stircle wants to stir your coffee without them. This device is built into stands at coffee shops where you usually add sugar and cream. 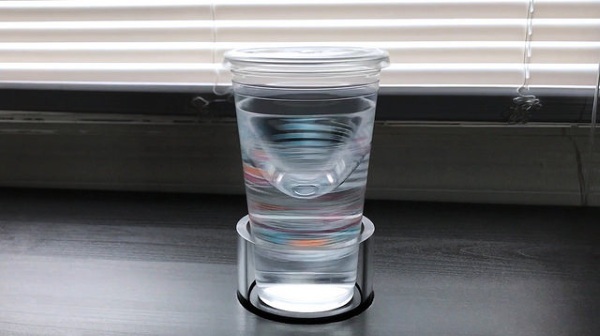 Once you’ve flavored your drink, place your take-out cup in the plastic mount and the it does the rest. Your drink will be mixed without you doing any work for it. It was developed for commercial use so it’s designed to work with covered, disposable cups, and fits a variety of sizes. It would be neat to be able to get something like this for the home, especially if you drink a lot of coffee or tea, but alas, it is only for shops. The installation of this will help to reduce the waste of stirrers, which is nice. If you happen to run your own coffee spot, you can get one of these for $345.